Are you working hard, but not really getting anywhere? Are you feeling frustrated and stuck and not achieving what you really want? It’s probably because you haven’t spent enough time considering what you want in life. If you want to make changes it’s time to set yourself personal goals. If you don’t have a destination how will you know the steps to get there?! Having a clear vision about your goal is the key factor to reach what you aspire to. Goal setting is a powerful personal development technique that can guarantee your success. It’s a satisfying process in which you consider your hopes and dreams and everything you want in your future. Why is Setting a Goal Important? Goal-setting is used by successful people in all fields. The process of setting goals helps you choose where you want to go. By knowing what you want to achieve you know what steps to choose and where to put your focus and dedication. By setting specific, clearly defined goals you can measure your progress and continuously work towards your vision. You will be able to see personal development and movement; and change something that’s not working to your advantage. Setting and taking action toward your goals will boost your self-esteem and raise your self-confidence. A Life Coach Keeps You Accountable. As a Personal Development Coach and Life Coach I can help you create a specific goal, and an action plan, with clear steps to reach your goal. Regular sessions with me help you stay on track and keep you accountable. In sessions, I often use the GROW Model. With the GROW Model we first discuss what you want. Goals: What are your goals? What do you want? Let’s say you want a new job. What type of job/career? What’s the ideal location of the job? How much pay do you want? What’s the purpose of getting a new job? What would be the benefits and negatives of getting a new job? What are the pros and cons of keeping your current job? What do you want to accomplish by getting a new job? What specific criteria do you want in your new job? And so on. Reality: What have you done to this point to get a new job? What is stopping you from getting a new job? What would have to change for you to get a new job? Will having a new job conflict with other areas of your life? Options: What else could you do to find a new job? What do you need to stop doing to get a new job? What obstacles stand in your way? What do you think your friends would suggest you do? Way forward: What action will you take today? What are 3 actions you can take this week? What else will you do? How will you overcome obstacles? How can you keep yourself focused and motivated? Who will support you to achieve your goals? What knowledge, experience or skills do you need to be successful? What will happen if you do not do this? When do you need to review your progress? Write down your goal as if it were a treasure map, clearly defining the steps to get there: what, when, where, why, who. Make sure your goal is achievable. Any goal you make must be consistent with your values. No goals must contradict another goal. Goals must be written in the positive, not the negative. What are your goals? And how can I help you reach them? 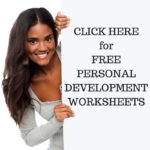 This entry was posted in Personal Development Resources, Personal Development Tips and tagged goal setting, grow model, life coach, personal development, setting goals. Bookmark the permalink. Next Post: What is Confidence?